I'd like to wish you all a Merry Christmas and hope you stay healthy over the festive season and beyond. Nevertheless, this month's bulletin will focus heavily on winter health and how best we can look after each other and ourselves over the coming months. Last winter was a very challenging period for the NHS, particularly A&E with waits reaching the highest levels since targets were introduced in 2004. We saw significant bumbers of people waiting more than four hours. I would like to take this opportunity to remind everyone how to access the right service for their needs. When one of your family is unwell, the only thing on your mind is how to get the care they need, as quickly as possible, but it’s worth stopping to think for a moment, to make sure you choose the right service. Your GP should be the first port of call for most healthcare needs, and local practices have taken a number of steps to make it easier to get an appointment. Local pharmacists are also highly trained and can give professional advice on a wide range of minor ailments from aches and pains and allergies to colds, head lice and skin problems. We have launched Think Pharmacy First, which provides free consultations for everyone – and if you don’t pay for your prescriptions, you will be able to get free over the counter medicines through this scheme. If you urgently need medical help and your practice is closed, you can call NHS 111, who can signpost you to the right service. For emergencies, major accidents or life-threatening situations, 999 is the number to call. The new urgent care hub is located alongside A&E, which means that patients who do not need emergency treatment can still see a medical professional without adding to the pressure on A&E staff. Hopefully you won't need health services over the next few weeks but if you do please use the services appropriately to make sure that the emergency services are there for those who truly need them during the festive period. It's not too late to have your flu vaccination. If you're in an at risk group call your GP or pharmacy and arrange it for a time that is convenient for you. North East Ambulance Service NHS Foundation Trust has raised its operational status to 'Severe Pressure' under a framework to protect core services for the most vulnerable patients in the region. This means that while it attempts to operate a normal service, the Trust’s response standard to potentially life-threatening calls has deteriorated. Members of the public should only dial 999 for medical emergencies. A better u is South Tyneside’s programme for supporting residents and patients to look after themselves (self-care). Through this programme we’re aiming to promote a culture of health and wellbeing that gives more control to local people over their own health. This means changing conversations from “how can I help you?” to “how can you help yourself?”, and from “what’s the matter with you?” to “what matters to you?”. Self-care courses are available to residents and we are working with our local community to strengthen and raise awareness of support and activities available to people in their local area. The next workshop is on 17 December, 9.30am-11.30am, at Ocean Road Community Association, NE33 2DW. The a better u programme also includes developing new ways to support people with long-term conditions to have a greater role in managing their condition. We know that people who are active and motivated around their health issues have a better chance of staying healthier for longer. Feedback from residents showed that 93% felt that taking care of their health is their responsibility and 91% of respondents said that taking an active role in their health and social care is the most important thing that affects their health. For more information on a better u please contact Emma Hamblin by email, emma.hamblin@southtyneside.gov.uk or call 0191 424 6409. NHS staff recently went back to the classroom at Mortimer Community College to teach students about their health roles as part of a Business in the Community partnership with the CCG. 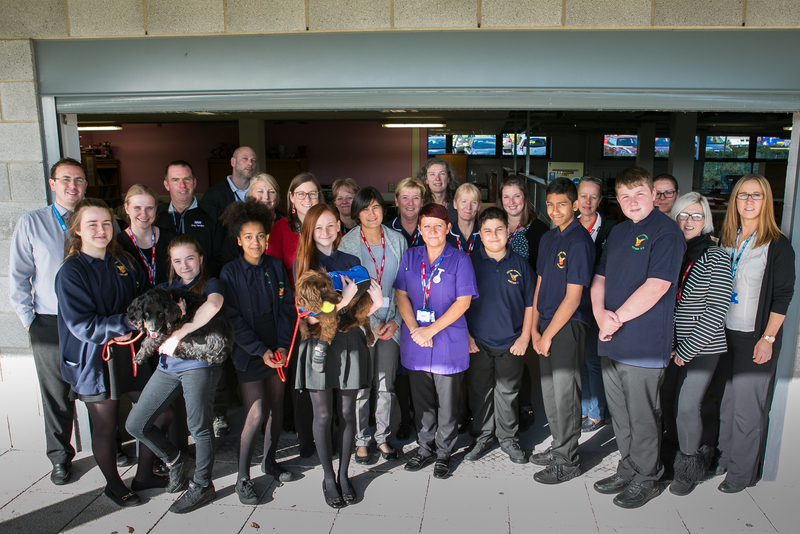 The health morning was the latest in our two year partnership with the school, with classes of 13 and 14 year-olds being taught about health professions. Students had a choice from seven topics from their guest teachers and could pick three one hour lessons to attend. Chair of NHS South Tyneside CCG, Dr Matthew Walmsley, said: “We were able to provide students with teaching from professionals who help us provide services including a GP, administrators, district nurses, a physiotherapist and a dog handler. Lynne Jobling, senior teacher at Mortimer Community College, said: “I know it can be a little daunting teaching for the first time but it was worth it for the students to see how people are putting skills in to practice to help patients in South Tyneside. 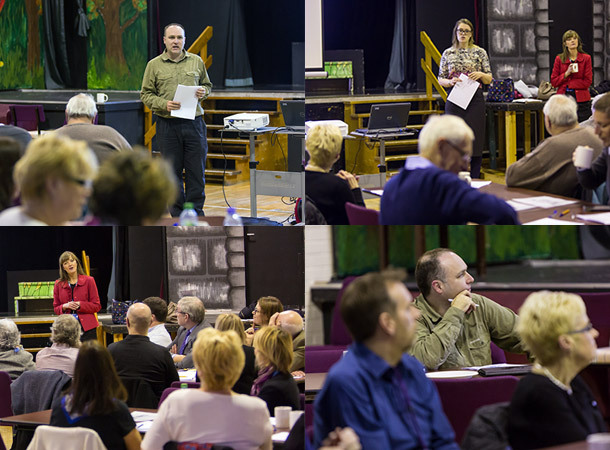 Our latest Local Engagement Board (LEB) took place at Jarrow Community Association on December 10. The LEB was opened by the CCG chair, Dr Matthew Walmsley, before a presentation on planning for 2016/17 and then round table discussions on cancer, respiratory disease, cardiovascular disease and end of life care. Thanks to all of those who got involved and took part in the round table discussion to give their input to 2016/17 planning. To get involved and have your say please join My NHS. Members of MY NHS receive regular updates on the work of the clinical commissioning group as well as invitations to take part in events, surveys and consultations. A campaign to encourage local people to take advantage of free, expert health advice from their local pharmacy and help ease pressure on hospital services �has seen over 9000 consultations from April to October, two thirds of which have been for under 18s. 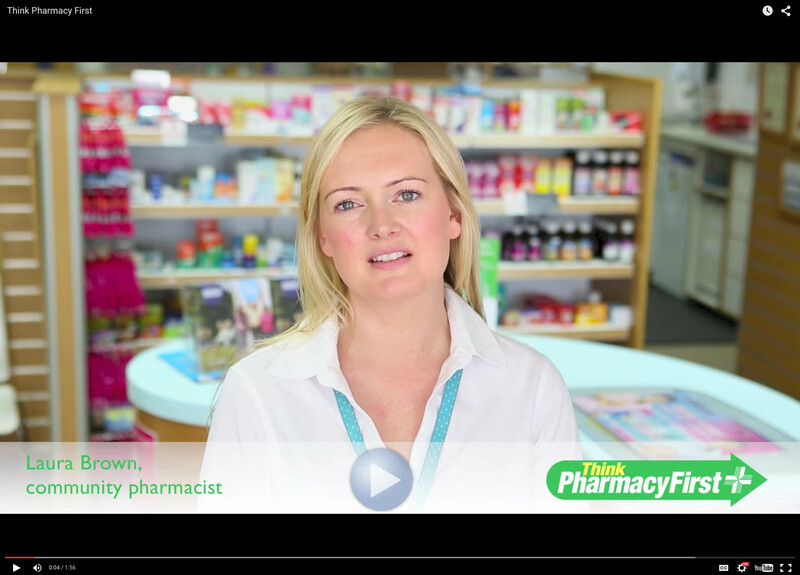 Think Pharmacy First is aimed at encouraging people to get advice and medicines to treat common or less serious illnesses, such as coughs, colds, upset stomachs and skin problems, simply by going to a community pharmacy. Think Pharmacy First has been developed by the CCG, working closely with Gateshead and South Tyneside Local Pharmaceutical Committee. Local pharmacists can provide consultations on many common health problems. If you don�t pay for prescriptions, you may be able to get free over the counter medicines with Think Pharmacy First. For those who do pay for prescriptions, it is likely that buying medicines from a pharmacy will be less expensive than the prescription charge. There are 39 pharmacies in South Tyneside, with 17 open on Saturdays and three offering evening opening and Sunday daytime opening (visit�www.nhs.uk�for details). Consultations with pharmacists are completely confidential and most pharmacies can offer a private area to talk about symptoms. If your condition is more serious, the pharmacist will be able to refer you to the right NHS service for your needs. Anyone worried about a child can discuss the problem with the pharmacist even if the child is not present. South Tyneside CCG is working with a range of clinical leads who are supporting key workstreams for the CCG. Click below to find out more about who they are and what they are doing. Feel free to get in touch if you have ideas or interests in their areas. Dr Kate Burns has worked with the CCG for some time and has been instrumental in driving forward the implementation and continuous improvement of the 111 service across the locality. She is helping with the development and promotion of special patient notes and engaging with the relevant local and regional 111 groups and feeding back to the CCG and its practices. She is the lead for communication with the GP community around any key changes to the DOS and NHS111 and she remains our local expert on national urgent care initiatives, documents and developments that relate to NHS111 such as the National Integrated Strategy and the Enhanced Summary care Record. If you wish to speak to Kate about her portfolio area then please get in touch by email on kburns5@nhs.net or through her practice at Colliery Court Medical. Joanne is very new to her CCG lead role and is working as a nurse practitioner at Dr Dowsett & Overs. Joanne has specialist skills in COPD and asthma (having previously worked with the ARAS team) and fully understands the importance of coordinated care across the health and social care system and, having spent some time working with First Contact Clinical, is committed and skilled at supporting self-care and the concept of social prescribing. She will be working with the CCG to lead on developments around LTCs and in particular looking at the development of an integrated care plan and supporting the A better U programme which involves supporting self-care and championing person centred care and includes shared decision making. If you wish to speak to Joanne about her portfolio area then please get in touch by email on joanne.hamilton5@nhs.net or through her practice at Dr Dowsett & Overs. Kerstin continues to support the CCG in her role as Medicines Optimisation Lead. She represents the GP voice at the Joint Medicines Management Committee across South Tyneside. If you wish to speak to Kerstin about her portfolio area then please get in touch by e-mail on k.akporehwe@nhs.net or through her practice at The Glen. Colin continues to support the CCG in his role as Medicines Optimisation Lead. He represents the GP voice at the Joint Medicines Management Committee across South Tyneside as well as supporting practice across the locality around effective prescribing and driving up the quality of prescribing in GP practices. He also advises and support the CCG in the development and implementation of the annual Prescribing Incentive Scheme. If you wish to speak to Colin about his portfolio plaease emails colin.bradshaw2@nhs.net or get in touch through his practice at Marsden Road Health Centre. Kelly has been working with the CCG to act as a point of advice and support to the CCG and NECS in redesigning the pain service element of the MSK re-procurement. This has involved Kelly in contributing to refining the service specification and assessing bids from potential providers. If you wish to speak to Kelly about her portfolio area then please get in touch by e-mail on kelly.staples@nhs.net or through her practice at Ellison View Surgery. Sharmila is supporting the CCG in its commissioning of effective health services for children and young people across South Tyneside. She also to acts as an advocate for young people in the CCGs commissioning plans and developments. She has established links with key children’s and young people’s workstreams across the CCG. Her role is to maintain and develop good relationships with all relevant agencies across the borough to champion services for younger people as well as to build on and maintain effective links with schools in the area. As with all the other clinical leads she is also a champion for person centred care, supporting self-care and shared decision making. If you wish to speak to Sharmilla about her portfolio area then please get in touch by e-mail on sharmilla.parks@nhs.net or through her practice at Talbot Road. Both Matthew and Nousha are working with the CCG to champion the importance of good palliative and end of life care and lead transformation to improve services and the system in South Tyneside. A pivotal part of their role is to listen to the patient voice as well as working in partnership with all key stakeholders to influence the Palliative and End of Life Care System. They will be contributing to the refinement of the current Palliative and End of Life Care strategy and leading task and finish groups that will meet the objectives of the strategy. In their role they will also be communicating changes within the system, particularly with GP practices and the wider clinical community across South Tyneside. If you wish to speak to Matthew or Nousha about their portfolio area then please get in touch by e-mail on matthew.mcclosky@nhs.net /nousha.ali@doctors.org.uk or through their practice at Talbot Road. Funmi has two key roles working with the CCG. In her clinical lead role she acts as a clinical champion for the improvement of services in South Tyneside relating to the frail, elderly and those who reside in care or nursing homes. She is an advocate for these patients and listens to their patient voice as well as working in partnership with all key stakeholders to influence commissioning activities and to re-design pathways for patients. In particular she will be reviewing the current care home scheme, linking with other agencies to produce a frailty strategy and then set interventions required. She is also supporting the integrated care teams and urgent care agenda where they interface with care homes as regards care planning. She will encourage and support patients preferred place of care and death towards end of life and as with the other leads she will champion person centred care, supporting self-care and shared decision making. In her Safeguarding Adults Named GP role Funmi works in conjunction with the Safeguarding Team at the CCG to provide GP leadership to support all activities necessary to ensure that the CCG meets its responsibilities in safeguarding adults at risk in South Tyneside. This includes ensuring that GPs across South Tyneside have safeguarding policies in place, in line with national and local guidance, and that they have the knowledge and skills to safeguard adults effectively. She will offer advice and support to her Primary Care colleagues and works closely with the Safeguarding Adults Board via the Safeguarding Adults Lead Nurse. If you wish to speak to Funmi about her portfolio area then please get in touch by e-mail on funmi.nixon@nhs.net or through her practice at Stanhope Parade. In her Safeguarding Children Named GP role Dawn works in conjunction with the Safeguarding Team at the CCG to provide GP leadership to support all activities necessary to ensure that the CCG meets its responsibilities in safeguarding children in South Tyneside. This includes ensuring that GPs across South Tyneside have safeguarding policies in place, in line with national and local guidance, and that they have the knowledge and skills to safeguard children effectively. She will offer advice and support to her Primary Care colleagues and works closely with the Safeguarding Children’s Board via the Head of Safeguarding. If you wish to speak to Dawn about her portfolio area then please get in touch by e-mail on dawn.elliot@nhs.net or through her practice at St George’s and Riverside. Working with practices and other providers in the health and care system to encourage collaboration, improve efficiency, improve patient experience and outcomes. If you wish to speak to Ruth or Vicki about her portfolio area then please get in touch by e-mail on ruth.jenkinson@nhs.net / vicki.rouse@nhs.net or through their practice at Trinity Medical. Lynn is supporting the CCG in delivering its commissioning priorities by facilitating engagement with practice nurses across South Tyneside. She is doing this by establishing a robust contact list for all nurses and promoting the development of a nurse network. She is advising and helping support the nurse training on a monthly basis to ensure it meets the needs of practice nurses. She is supporting all nurses around re-validation by supporting the roll out of the Clarity Tool for nurses to use to collate evidence for their portfolios relating to Re-Validation. If you want to speak to Lyn about her role then please contact her on lyn.shaw@nhs.net or through her practice which is Trinity Medical. Bill continues to support us in his cancer clinical lead role. He has led the implementation of the cancer plan and despite challenges within provider organisations has demonstrated some successes in use of the 2ww pathway by GPs and gaining assurance of CWT targets. His input has been invaluable in summarizing the Cancer Outcomes Guidance to help the CCG prioritise its response and has developed a cancer dashboard for use by general practice. He continues to raise the profile of cancer diagnosis and care across the health system and chairs the cancer locality group and will be supported by a CRUK facilitator that will be working with Bill this year in the supporting practices as part of the cancer work stream. If you want to speak to Bill about her role then please contact him on bill.hall@nhs.net or through the CCG.